LOS ANGELES AND WASHINGTON, Aug. 29, 2017 — YogaWorks, a Los Angeles based company that went public earlier this month, acquired two Washington, D.C. area yoga studios from Tranquil Space. Tranquil Space was founded by Kimberly Wilson in 1999 and was named as one of the top 25 yoga studios in the world by Travel & Leisure Magazine. 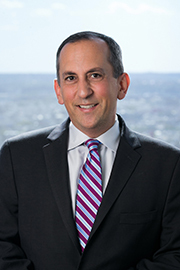 Tranquil Space was represented for this transaction by Offit Kurman Principal Jonathan Wachs. This is the second time Mr. Wachs represented a business in the sale of studios to YogaWorks.